Pot Distillers yeast for fruit brandies, fruit schnapps, cognac and grappa. Order your Turbo Yeast with Low Cost Freight here! By sending the Turbo Yeast as a sample in a first class letter, Return Reciepe Request, freight is affordable. 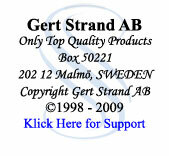 The yeast are sold with a discounted price and packings are choosen where the weight provides cheapest freight. Visite our store Allfreightfree.com for purchases. When we have received payment we will ship your whisky yeast as samples in a first class letter, Return Receipt Requested. Please allow 10 working days for the letter in both directions if you send from outside Europe.